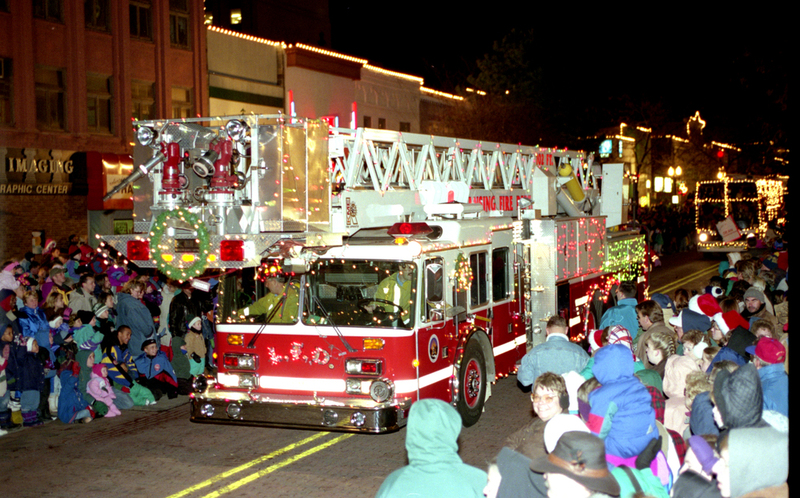 The Electric Light Parade welcomes the holiday season in the Capital City with lighted floats and the arrival of Santa. 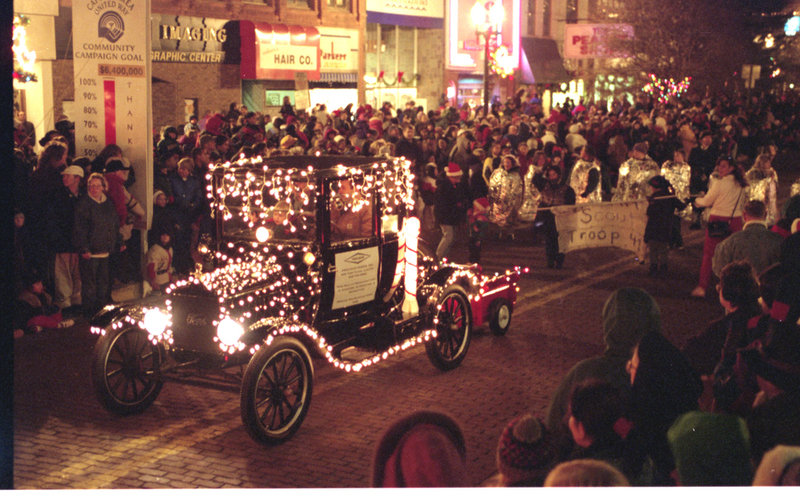 The Electric Light Parade steps off at 6 p.m. at the corner of Lenawee and South Washington Square. 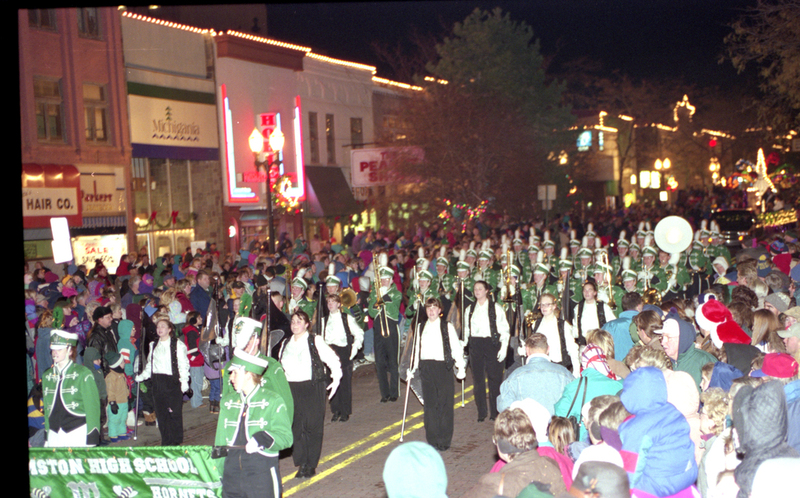 Over sixty units and ten area high school marching bands will sparkle with thousands of lights as they make their way through the streets of downtown Lansing. 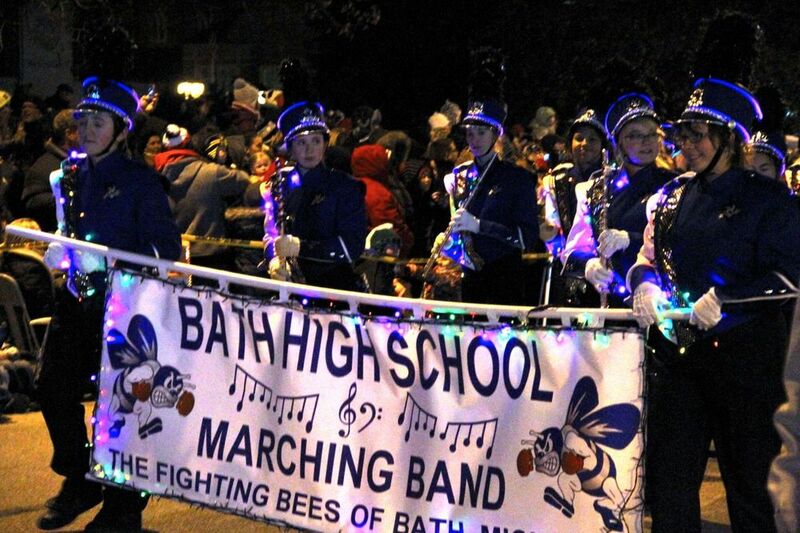 The participating high school marching bands will compete for the Best Illuminated Band awards during the parade. The two high school bands that are most well-lit will win a $500 gift card to Marshall Music courtesy of Marshall Music and $500 courtesy of the Lansing Board of Water and Light. Winners are announced at the Main State prior to the lighting of the State Christmas Tree. 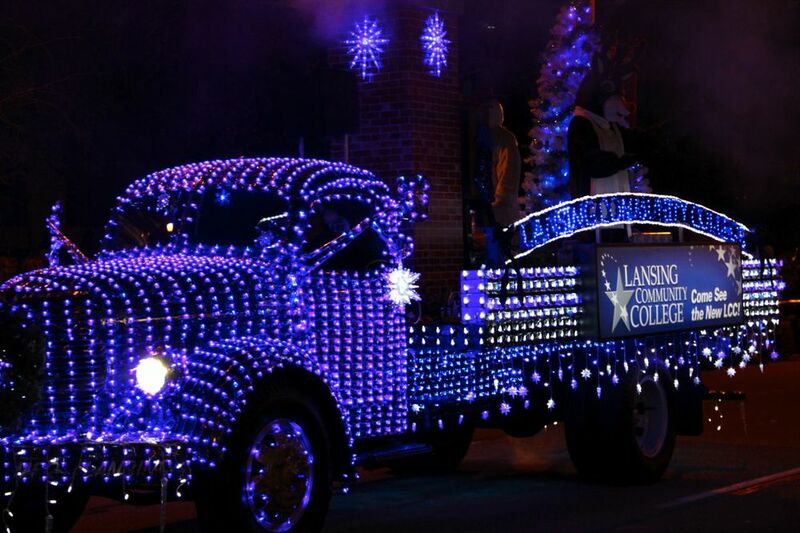 The parade is proudly sponsored by IBEW Local #665 and NECA and is proudly staged by the Lansing Host Lions Club. This year’s Grand Marshals are Detroit Lions Cheerleaders and Roary! New this year, the parade will have a special guest! Paws from the Detroit Tigers will be making an appearance in the Electric Light Parade. While 2018 is the 21st Electric Light Parade, it is only the fifth year the parade had a Grand Marshal. In 2014, Mickey Mouse traveled from Walt Disney World Resorts in Florida to serve as the first ever Grand Marshal, in 2015 singer/songwriter Joshua Davis served as the Grand Marshal, in 2016 Todd Duckett was the Grand Marshal and in 2017 MSU’s Sparty was Grand Marshal. Special Guest vehicle courtesy of Shaheen Chevrolet. Hager Fox Heating and Air Conditioning Co.